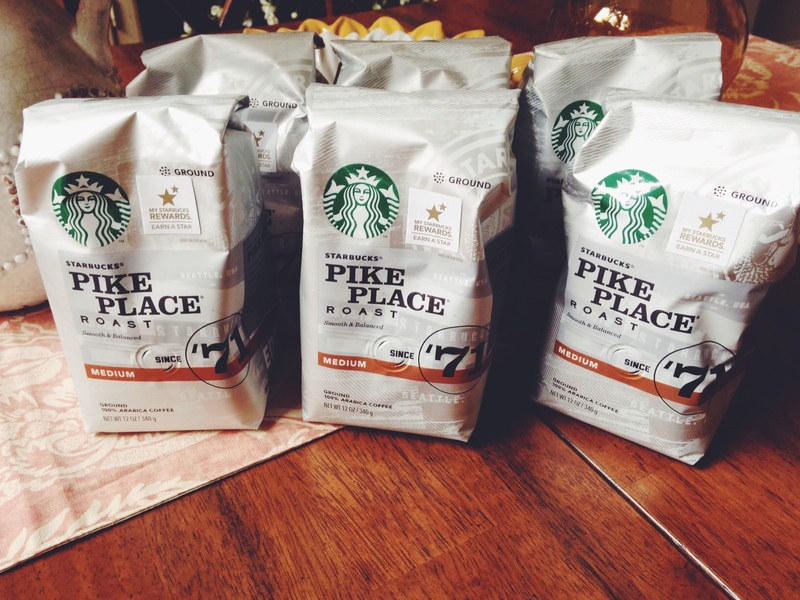 HUGE Starbucks Bagged Coffee Deal at Target! As low as $1.66 per bag! HUGE Starbucks Bagged Coffee Deal at Target! As low as $1.66 per bag!! Buy 3 Starbucks K-Cups ($11.99 each) OR Coffee Bags ($6.99 each) and receive a $5 Target Gift Card! PLUS Starbucks is offering a Rebate as well for a $5 Starbucks eGift Card! Here are some HIGH value Starbucks printable coupons you need to print RIGHT NOW! This ^^ is by far the best coupon to use for sure. I didn’t see this coupon until this morning after I purchased my lot of bags last night. So don’t make the same mistake as me! Remember, you can print 2 LIKE coupons per computer! So if you have multiple computers in your home, get printing! Also if you have a smart phone and a wireless printer, download the coupons.com app and print 2 LIKE coupons from your phone as well! After gift card offers, you are only paying $1.66 per bag!! NOW…let’s stop here for a minute because let me help you pay LESS out of pocket and still get those gift cards! I use this handy-dandy app called “Shopkicks”! It’s SO easy to earn Target Gift Cards with this app!! Download it HERE if you don’t have it! All you have to do is when you’re out shopping (see your app for various Shopkick Store locations), open the app when you first walk into the store and you will get “kick” (points). Once you have 1250 points, you can redeem it instantly for a $5 Target Gift Card! It’s sooo easy to get 1250 points. Sometimes my husband and I will go to Target for part of our date night and scan items in the store to get points! It’s fun and easy and it’s free money baby! – Use $5 Target Gift Card from either Shopkicks App or if this is your second transaction, use the Gift Card from your first transaction! As low as $2.33 per bag! And don’t forget your TARGET RED CARD! If you have one of these beauties you will then save an additional 5% on the entire purchase! One more way to save on Starbucks (I know right? )…see the little peelie on the bags (pic at the top of the page) with a star and it says “My Starbucks Rewards – Earn a Star”? Don’t throw that away! And if you don’t want to bother with it, give it to me! hehe:) Starbucks has an awesome FREE rewards program to earn free drinks and food! ← Shocked at the Outcome: Starbucks Bagged Coffee per cup vs. the Price of Starbucks K Cup per cup!